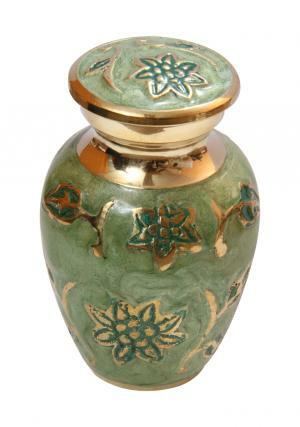 Nothing would make a proper honor than choosing to preserve the ashes of the demised, considering it to be the last memories. 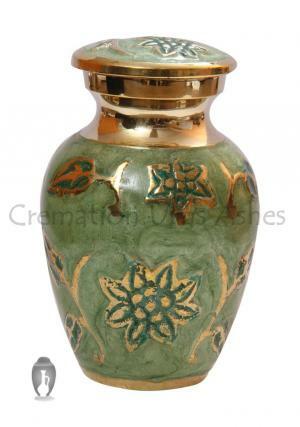 The mini keepsake urn is made of solid brass metal, enameled in gorgeous leafy green and well polished. 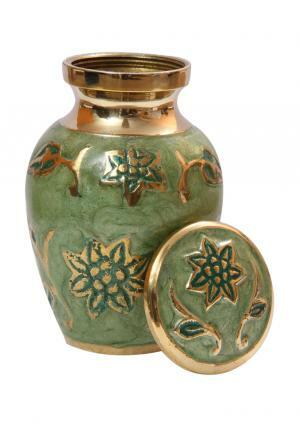 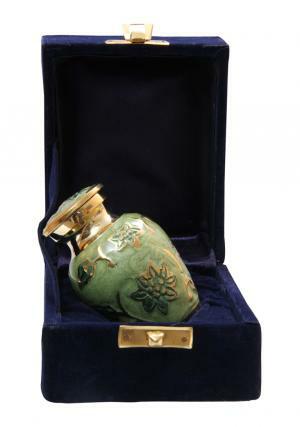 The mini memorial urn is collaborated with flowers in green and reflecting gloss on the neck. 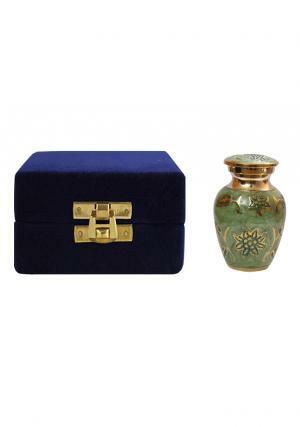 The funeral ashes container urn has a secure threading on the top to preserve the memories of the demised. 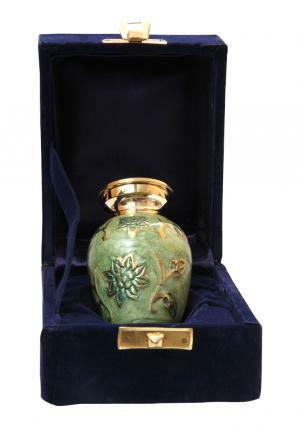 The small cremation urn weighs around 0.25 Kg that carries 3 cubic inches of ashes measured to be 3 tablespoons with 2.95” inches tall and 1.97” inches width.